Bergamot (Citrus bergamia) essential oil is obtained through cold expression of the near-ripe fruit peel of a small tree in the Rutaceae family. Bergamot essential oils smells like fresh, sweet fruit with spice undertones. Oil of bergamot and the tree it comes from should not be confused with the mint herb, scarlet bergamot (Monarda didyma) or wild bergamot or horsemint (M. fistulosa). Bergamot grows up to 15 feet in height. The tree has oval-shaped smooth leaves. The bergamot orange fruit changes from green to yellow as it ripens, and looks like small oranges. You may see the botanical name written as Citrus aurantium ssp. bergamia. This tropical tree is native to Asia and widely cultivated in southern Italy and the Ivory Coast. The name comes from Bergamo, an Italian city located in Lombardy. The fruit is sometimes referred to as a pergamont or pergamonto. The oil is obtained through cold expression and has approximately 300 known constituents. The main chemical found in bergamot essential oil is linalyl acetate, which comprises about 30-60 percent of the total. One of the constituents in bergamot, bergapten, is a highly phototoxic psoralen (furocoumarin). This can cause issues when used on the skin, causing sensitization and pigmentation when exposed to sunlight and UV rays. The reactions to UVA rays on the skin caused by bergapten is known as berloque dermatitis. It can occur even when diluted and after a length of time. Because of this issue, it is wise to seek out a rectified, bergapten-free version of the oil to avoid the phototoxicity danger. If you must use a bergamot essential oil that has bergapten in it, extreme care should be taken when using it dermally. Some effects of photosensitizing oils on the skin when exposed to sunlight include an increased cancer risk, pigmentation, blistering, rashes, and enhanced sensitivity. 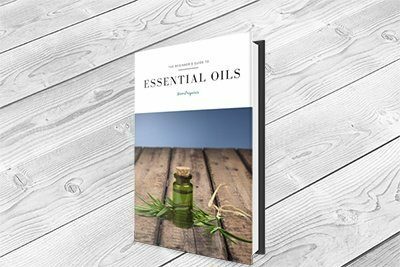 Bergamot essential oil blends well with many other oils including: lavender (Lavandula angustifolia), clary sage (Salvia sclarea), nutmeg (Myristica fragrans), rosemary (Rosmarinus officinalis), rose absolute (Rosa centifolia), and many more. While it has not been recorded in other culture's folk medicine chests, the volatile oil of bergamot has been prized for its health benefits for centuries by Italians. It was historically used in folk medicine for malaria and fevers, as well as worms. There has been much study of bergamot oil in Italy, and now the medicinal uses have expanded. It is now used for a wide variety of ailments, especially for those of the skin, respiratory, and urinary tracts. Bergamot essential oil is widely used in fragrance. It is a staple in eau-de-cologne,as well as a fixative in toiletries and cosmetics. The oil is also used extensively in the food and beverage industry. Perhaps the best known use is bergamot tea, better known as Earl Grey. There are many ways to use bergamot oil in aromatherapy, and the following are just a few of the numerous ways you can use it at home. Bergamot is one of many oils that can be used in the kitchen. Any oil must be used extremely sparingly as they are highly concentrated. This oil tastes like lemony citrus. It is sweeter than lemon and at times, can be a bit bitter. You can flavor things like tea or custard by dipping a toothpick in the essential oil then swirling in whatever you want to add a hint of flavor to. It can be used as an astringent and is quite beneficial in facial steams for oily, blemished, or combination skin. However, when applying to the skin, be sure to use bergapten-free or furocoumarin-free (FCF) bergamot oil to avoid the phototoxicity. The oil has a very pleasant scent, and can be used in blends to help cut down on body odors when excessive perspiration is an issue. Always perform a skin patch test and dilute the oil. The following recipes can help you with various conditions. This blend incorporates Jojoba as the carrier because it is the closest one to human sebum. When dealing with inflamed skin conditions, you always want to remain as true to the natural skin condition as possible while offering anti-inflammatory support, as these oils do. Mix the above together in a non-reactive bowl. Use as a facial wash, massaging in. Leave on for two minutes then rinse with warm water. You can use this once a week as needed. This is a rich oil with many skin-enhancing properties that will work synergistically to reduce fine lines and wrinkles. Hemp oil helps lock in moisture and enhances elasticity, rosehips help with cell regeneration and texture, and sea buckthorn is revitalizing. Use sparingly where needed. Add this to 3.5 ounces of your favorite natural shampoo base. Most people have suffered the severe itching of chicken pox at some point in their lives. Chicken pox, otherwise known as varicella, is a viral infection that causes fever and an itchy rash of small red spots that turn into blisters and scab. Avoiding scratching helps stop the infection from spreading, but that can be extremely hard to do, especially in children. Lavender and chamomile added to calamine lotion can help ease the itching, as well as the following blend for a soothing bath. Mix the oils first, and then blend them into the baking soda. Shake the mix under the running bath water and swish to dissolve. Soak for at least 20 minutes. This oil is uplifting and energizing, yet can be sedating and calming as well. It is helpful to diffuse this oil when you need to concentrate, want to be happy, or are suffering from anxiety, depression, or are just stressed out. The best thing about diffusing is that you can experiment to figure out what your favorite scents, blends, and effects are. Here are four blends to get you started. Adding bergamot oil to a carrier like olive oil in a blend can make a massage oil that is useful for spot pain treatments. It can also be used to help reduce muscular spasm and relieve issues of the digestive system. This oil blend may be too strong for some, especially those with sensitive skin. It will be rather warming to loosen muscles. Please do a skin patch test prior to use. Massage in itself is a wonderfully relaxing experience. When combined with the right essential oils, it can be downright blissful. The next time you feel completely stressed out, have someone massage this blend on your neck and shoulder area and feel the tension melt away! This oil blend is highly sedating. Do not use if taking sedative medication or antidepressants. Do not drink alcohol, operate heavy machinery or drive, or use if pregnant or breastfeeding. There are many benefits of this oil. It is analgesic, antiseptic, and is a natural deodorant. The oil is also anthelmintic and antispasmodic. Its actions include being a diuretic, febrifuge, laxative, stomachic, and more. As mentioned under uses, this oil is antiseptic and fights against all sorts of viruses and bacteria. This helps the immune system fight off illnesses that run rampant during cold and flu season. Mix these oils together and store in a dark glass bottle. You can diffuse this to ward off viruses and bacteria. Do not use this blend on or around anyone who is pregnant. You can also use this as a massage oil, by adding up to five drops to a tablespoon of carrier oil. This can be irritating, so perform a skin patch test first. If there is no reaction, massage a small amount on the chest and neck area when cold and flu season strikes as needed. Besides these and because the oil can aid in concentration, it may be used for meditation and mindfulness exercises. Along with eucalyptus and cinnamon oils, bergamot is quite antiseptic. The three are powerhouses in fighting germs and microbes that cause illnesses like influenza, diphtheria, and pneumonia. Diffuse the oils when germs are in the air. The oil of bergamot is useful when chest infections pop up. It can be added in massage blends for the chest to calm spasms. Bergamot is also useful for tonsillitis, sore throats, halitosis, and infections of the mouth. Cystitis affects more women than men. It is an irritation of the bladder lining, and women have shorter urethras, which is the reason they suffer from this more frequently. If you are suffering from cystitis, you will likely have pain in the abdomen, pain and urgency with urination, and foul-smelling urine. Gently massaging essential oil blends or using them in hot compresses can help relieve these symptoms. Once the compress cools down, you can soak it in warm water again or use a microwave to warm it up. But make sure it is cool enough to not burn the skin. Repeat as needed. Lack of sleep can cause a multitude of problems during typical waking hours, such as more stress, anger, irritability, mood swings, lethargy, chronic fatigue, lack of focus and concentration, decreased motor skills and reaction time, and much more. If you are having problems sleeping at night, diffusing essential oils, using them in the bath, or as a pre-pillow massage may help. The following are two blends that you can use for any of the aforementioned methods. To use, add the oils together in a small dark bottle and mix well. For bath, add 5-6 drops in a teaspoon of carrier oil and swish. Soak for at least 20 minutes. For a relaxing bedtime massage, add 5-6 drops to two teaspoons of carrier oil and massage neck, shoulders, and arms. To use in a diffuser, add as many drops as you wish or per your model's instructions. Add to an ultrasonic diffuser for best results and to ensure the blend's constituents are not changed. In 2015, researchers set out to determine the efficacy of bergamot essential oil on mood, since it is widely used for it in aromatherapy. Forty-one healthy females were studied. They were either exposed to rest, rest and water vapor, or rest with water vapor containing bergamot essential oil. Each lasted for 15 minutes. Bergamot is good for many things. The home user can utilize it to diffuse to ward off infections during cold and flu season and to help support the immune system. The oil tastes like bittersweet lemon, and is one of the defining ingredients in teas like Earl Grey. You can dip a toothpick in the oil and swirl in whatever you would like to impart a bit of flavor to in the kitchen. If respiratory issues pop up, bergamot is an excellent choice to add to blends. It can also be used in massage oils for pain and spasms. The oil can also be quite relaxing, can improve moods, help depression and insomnia, and reduce anger. It is a beneficial oil for those that are plagued by oily hair and skin. However, due to the bergapten content, the oil is highly phototoxic. To avoid this issue, purchase a bergapten-free version of the essential oil.